The Paschal Events team is made up of various college athletes that love the taste and smell of all sports. We are involved in many Professional and Amature leagues in and around Charlotte ranging from Wells Fargo Championship and Carolina Panters to all local recreational leagues and full & half marathons. We have several ways to be a part of any sport related tournament, game, league, and event. 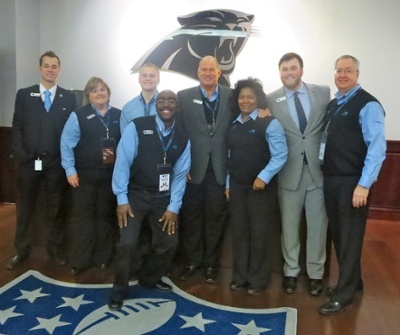 Bryan Paschal started Charlotte Sports Connection in 1999, after he brought the organization from 0 members to over 25,000 members in 2003, he sold it to Sports Wharehouse, LLC. Sports Wharehouse adopted the Sports Connection name, and now operates under SportsLink. We are a great partner with SportsLink and the leagues we have owned and operated are now under SportsLink’s direction. To learn more about our Sports Consulting Services or to set up an appointment, please contact Bryan Paschal at bpaschal@paschalevents.com. Also please refer to our Partners Tab and Sponsors Tab at the top for some examples.